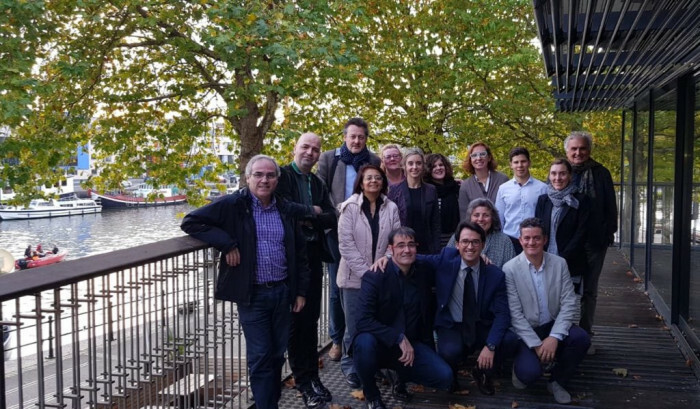 Last month (23 – 26 October) more than 80 partners from the REPLICATE lead and follower cities, which include San Sebastian, Florence, Nilüfer, Essen and Lausanne, came to Bristol for the consortium’s third General Assembly. This was the second gathering held in Bristol and it was an opportunity for all of the REPLICATE consortia to learn from one another and generate future ideas for the five year project. On the first day of the event, each Work Package leader presented an update on the progress they’d made with their interventions and overall project during the past year to the European Commission Project Officer and the Project Reviewer. The next day, the wider consortia also joined the assembly and gave an update on their specific project progress as well. 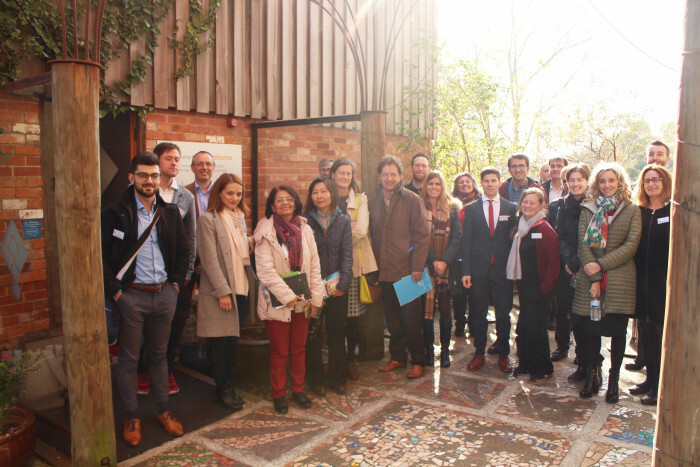 Once the project reviews had been concluded, it was over to Bristol to showcase all of its project interventions through a study tour across the city. The tour commenced at City Hall to showcase the mobility initiatives that are being developed in conjunction with the local community to create air quality and damp sensors. The consortium were then taken to the city’s Operations Centre where they had the opportunity to view its four control rooms consisting of emergency management, traffic management, community safety (CCTV) and First West of England (First Bus). Bristol’s REPLICATE team then explained their future plans for scaling up the Operations Centre to include smart lighting and district heating. The next stop on the tour was Counterslip Street, where one of the 24 electric charging points is being installed as part of The REPLICATE project. A Renault Zoe was also at the site, as this is one of the 11 electric vehicles that will also be deployed in the city as part of the project. The final visit on the tour was to the Create Centre and Ecohome. Bristol’s team demonstrated how the Smart City platform, through an energy demand management system, can control and run smart appliances in 150 homes in Ashely, Easton and Lawrence Hill (the chosen target areas for the project in Bristol). Energy efficient retrofit measures that will be installed into 240 homes within Bristol’s project target areas were also presented to the consortium to review. At the end of the week, Marvin Rees, Mayor of Bristol, introduced the final sessions of the assembly which included presentations and dynamic workshops. Discussion topics included business models, key performance indicators, city to city learning, the General Data Protection Regulation (GDPR) and ongoing communication and dissemination activities. 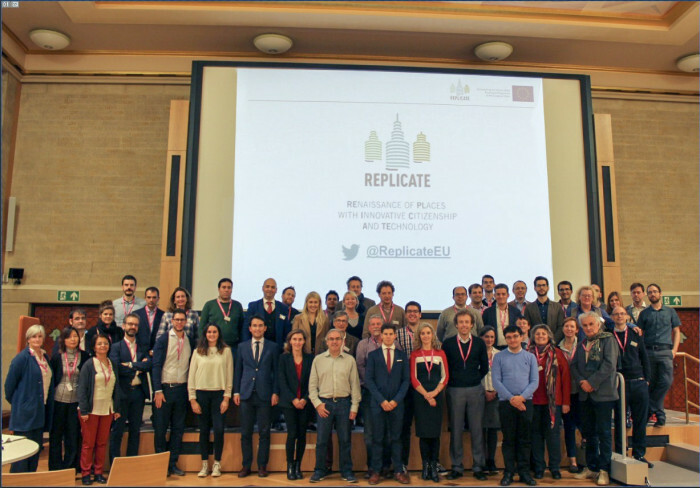 There was also the opportunity for the lead and follower cities to work together collectively to address and resolve the challenges that they have been tackling over first three years of The REPLICATE project. The four day assembly was a huge success for Bristol. It provided a strong foundation for all lead and follower cities to continue with The REPLICATE project over the next two years. Find out more about the REPLICATE project.